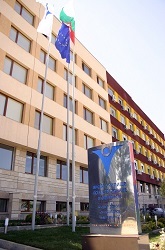 VUZF University is a private institution of higher education, located in the capital of Bulgaria – Sofia city. It is the first private university specialized in the area of finance, insurance, management and marketing in the Republic of Bulgaria. In the past five years, it strongly focused its education program on finance, innovation, business and entrepreneurship studies. The university was founded by Resolution of the National Assembly dated 25.07.2002 (Prom. in the “State Newspaper” issue 75/02.08.2002) for the training of students in a Bachelor’s degree economic specialization and welcomed its first students in the 2002/2003 academic year, whereas it started its master programs in 2007/2008 academic year and its PhDs program in 2016/2017 academic year. The study programs in the bachelor and master programs are offered in regular, part-time and distant learning forms. The Ph.D. programs are offered in regular, part-time forms and also in the form of individual preparation. For the last 15 years, VUZF managed to establish itself as one of the best Bulgarian universities in the field of Business and Economics. The last edition of the Bulgarian University Ranking System in 2017 ranked VUZF in top 5 in the professional field of Economics out of 26 Universities in this field. VUZF has one of the highest accreditation assessments in Bulgaria and obtained accreditation from the British Accreditation Council in 2013. VUZF’s mission is to prepare highly qualified specialists in finance, business and entrepreneurship to develop theoretical and practical knowledge in accordance with the needs of the contemporary practice. The academic policy of the university is aimed at incorporating the best educational practices in Europe. On the one hand, its main purpose is to provide high-quality studies and career success of students by maintaining a very good cooperation with the business community. About 90 percent of the university graduates start work in the field of the acquired major in the private financial sector, as well as in business ventures. Very often, VUZF University’s students start their own business. To help them, the university provides free consultancy services relating to training in various majors, as well as opportunities for professional and personal development. On the other hand, VUZF University offers high-level training, commensurate with the leading universities in Europe. Evidence and one of the main priorities in the development policy of VUZF is the implementation of cooperation with foreign universities within different bachelor, master, and post-graduate programs. VUZF University partners with 20 + universities in Europe under ERASMUS, and has a solid cooperation with leading European and world universities. 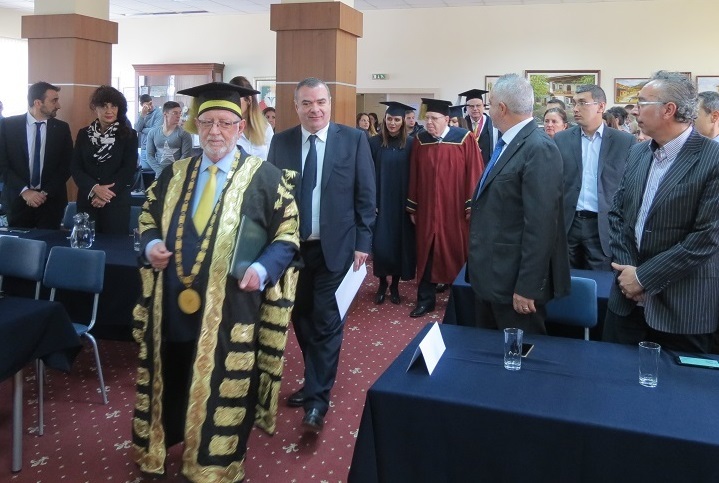 The lecturers have an important contribution to the high quality of the study programs the university offers. The faculty members are among the most outstanding researchers in the country, with extensive training and practical experience. Many of the lecturers have also a good standing in the professional society as CEOs of companies, managers in the corporate sector, and heads of state authorities (for example former ministers, chairs of financial regulators, members of the national parliament). Find more about VUZF University on the website: www.vuzf.bg. The education in Finance program at VUZF University is distinguished by the study of classical disciplines while, at the same time, applying modern methods of teaching and interdisciplinary approach. A new look to organizations’ finance is provided, including knowledge from the field of business psychology, studying the role of IT systems and human factor for successful financial management.